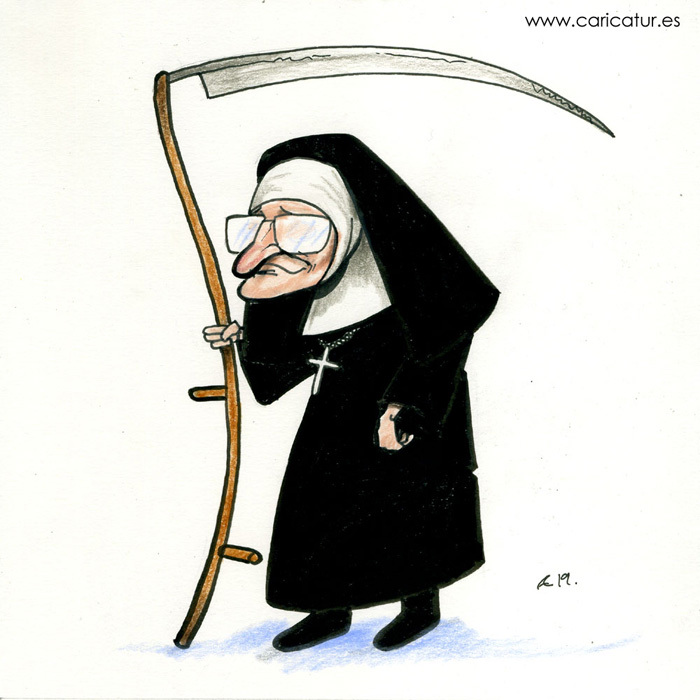 Nun Scythe Cartoon! Your Mission: Find the Nun with the Scythe! Read more over at Double Vision!